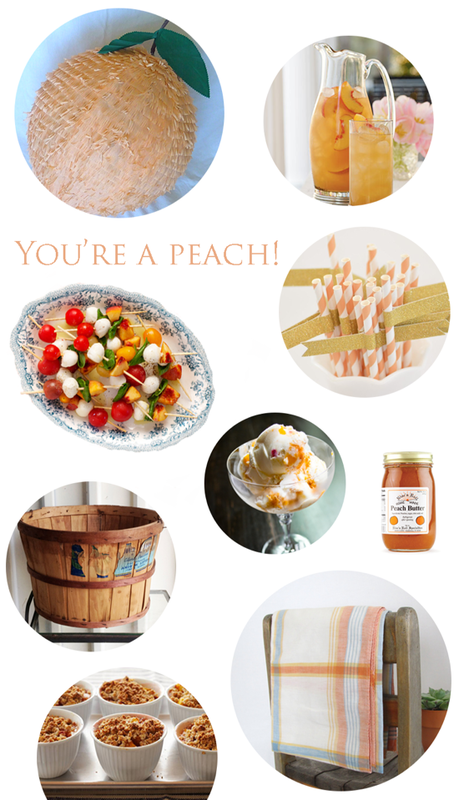 A peach-themed party would be great for a birthday, a baby shower, a farewell to summer or a way to celebrate your favorite Georgian. You get a lovely, warm color palette, sweet and savory menu possibilities, and little jars of peachy goodness would make a perfect party favor. My mom always has a strawberry party in June. A peach party would be perfect for August! One of my favorite colors and fruits - I think I need to have a peach party! That peach tea punch with peach striped straws look perfect! the caprese peach skewers sound so good! I'm all about peaches lately!